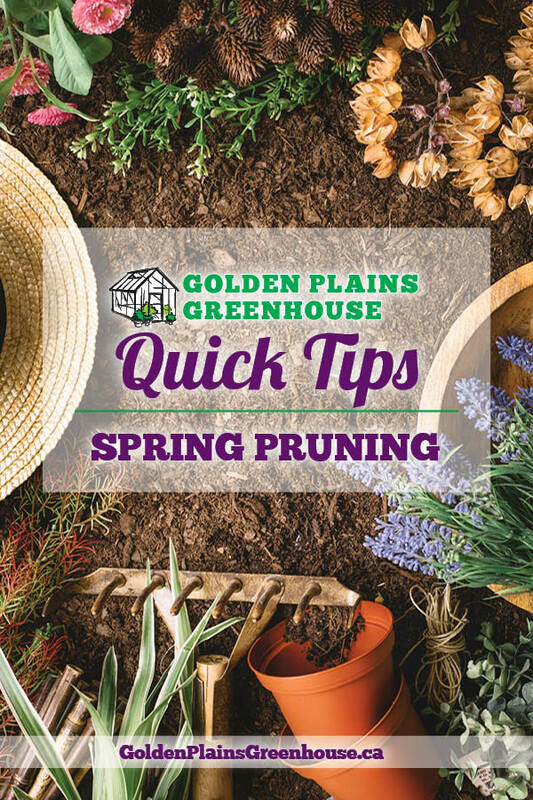 ​The reason why we prune plants in the spring is to stimulate growth so want to be careful not to do it too early in case of an unexpected frost (like we don't have those here!). Summer blooming plants like Peonies and Echinacea should be pruned in spring after the risk of frost is gone. Spring blooming plants like Bleeding Hearts and Asters should be pruned only after they bloom so that you don't remove any future flowers. Hello! My name is Lee Ann and I am the daughter-in-law to the Giesbrechts. I have learnt much about gardening from helping out in the greenhouse, but I hope that through writing this blog, I will learn more and be able to share the things I have learnt with you!